There’s a significant amount of our population who seem to think meditation and yoga are some type of voodoo. And this is highly unsettling to me. Why would people make fun of or deny these highly beneficial activities? People don’t want to step out of their comfort zones. They tend to think it’s some west coast cult of Zen. This article is not for the people who already are doing these highly rewarding Summer hobbies. Though you’re welcome to read because you might learn something new! It’s for the people that aren’t quite sure about them or flat out opposed to them. So if you are totally sure (or on the fence) that you’d never try that crazy west coast meditation or yoga stuff, keep reading. In this 2018 chaotic world of people screaming at each other over politics we could use some more kindness. It turns out one of meditation’s prime benefits is how much it generates love for oneself and others. When one practices self-love, they are in turn more prone to be kind to those around them. If you’re feeling angry, upset or frustrated these days I can think of nothing more beneficial than meditation. Try being kinder to yourself and others. Meditation can help with that. Upon taking up meditation many people start noticing things about themselves they hadn’t before. They particularly notice changes in the way they think about themselves and the world. This is because we tend to be slaves to our own minds. We believe that all thoughts we think are true. Here’s a piece of advice. Don’t believe everything you think. It’s not all true. Meditation will help you learn more about the toxic things you are telling yourself so that you can transform into a more positive version of you. When this starts to happen, it’s a sublime feeling. You start to realize why you thought the way you did about something and start gaining a higher level of awareness. Higher levels of awareness bring clarity to oneself and their outside world. In turn personal transformation occurs. Did you know that most relationships struggle because we humans like to believe we are mind readers? Our thoughts dictate our beliefs. When you’re dating that guy and he doesn’t text you back right away you start to think it’s because he isn’t into you. That’s certainly possible. But it’s also possible he could be in a meeting. When one realizes that everything they think isn’t necessarily true, their relationships in turn improve. It’s also been proven that when meditating people start seeing positive changes in themselves as well as in those in their relationships with the people in their life. One particularly striking instance was that of a practitioner who was able to reunite with his family after many decades — he found and rediscovered his mother and sister and that made him a consistent and deep meditator. As we’ve mentioned before, meditation heals us holistically and repairs aspects within us that are supposed to working well and what we were born with. Relationships, collectivity and effective communication are all part of one energy center — the 5th center. When we meditate regularly the innate healing that happens helps rectify relationship issues with everyone around. By becoming a witness to our thoughts we start to see that they are merely thoughts. Some of them may be true and some not at all. By becoming more aware of the thoughts we have about ourselves, our perceptions of others in turn change. 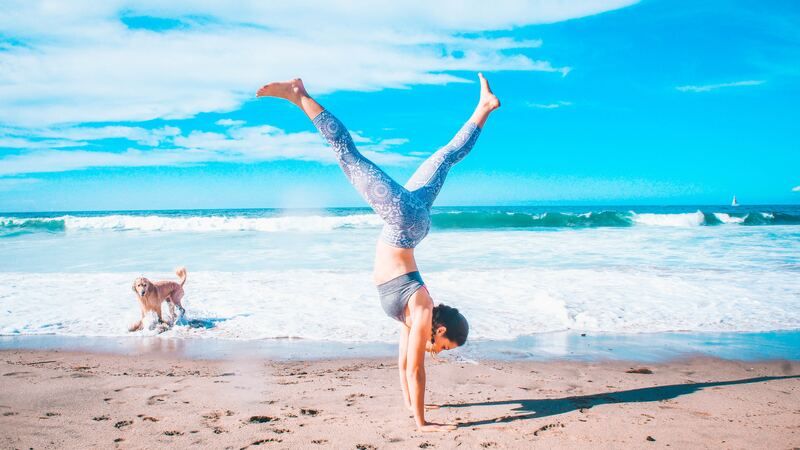 Yoga has some surprising benefits you may not have heard of. One of them is weight loss. There seems to often be more focus on the mental benefits of yoga. People think if they aren’t doing heavy physical activity like cardio or lifting weights that they aren’t in turn losing weight. This couldn’t be further from the truth. In addition to mental benefits and improved flexibility, there’s proof yoga helps one lose weight. A research by the American Dietetic Association showed that your yoga practice can help you lose weight. Yoga is a physical exercise, and any physical activity burns calories. But there’s more to it than that. Improving your mind-body connection promotes healthier lifestyle choices, including your diet. As you become more aware of what you feed your body, you intentionally control your eating habits: eating less junk food, watching your diet and becoming a healthier you. It’s not just the physical benefits that burn calories during a yoga session, but also the mindfulness it provides within causes one to be more conscious about their lifestyle choices. Awareness brings self discipline. Upon taking up yoga one often finds they choose to eat healthier and in turn live a happier life. It’s been proven that yoga keeps you young. The irony of thinking that yoga is a waste of time is that it can turn you into a younger version of yourself. This is because rather than just a traditional workout, it focuses significantly on mind-body connection. Is yoga really anti-aging? Yes! A consistent yoga practice keeps the circulatory, endocrine, digestive and lymphatic systems healthy and functioning properly. Just a few minutes of yoga a day will enhance your overall wellness. You will attain a natural glow on the outside and see your body transform on the inside. Another anti-aging benefit of yoga is stress reduction. Stress can cause an influx of harmful symptoms to our body and emotional health. Yoga helps to restore the parasympathetic system when the body goes into stress mode by slowing down our heart rate. Take up yoga to not only look younger, but literally feel yourself getting younger inside. Improved wellness and reduced stress lead to a younger version of the self you’ve always wanted to be. What could yoga possibly have to do with creativity? There’s been proven benefits to one’s creativity by practicing yoga daily. An Asana is a posture used during yoga. Certain asana that activate specific regions in the spine have been proven to stimulate creativity. The sacral chakra (Swadisthana) is the centre of creativity within the subtle body. It is located in the region of the tailbone/sacrum so asanas that activate this area will also ignite your creative flow. Remember creativity is not just painting a picture, it also relates to the way we think and solve problems which are beneficial whether you are artistic or not! Try adding Paschimottanasana (Seated Forward Bend), Bhujangasana(Cobra) and Janu Sirsasana (Head to Knee) pose to your practice and let your creative juices flow. By taking up yoga and trying out certain positions one will start to notice they are more creative in their day to day life. Most people would never think that yoga improves one in such a variety of ways. By being open to yoga one will find not only heightened levels of creativity, but also many mental, physical, and spiritual benefits.